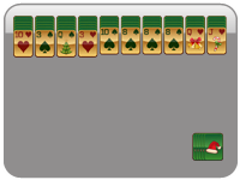 While you are waiting for the timer to go off on your Christmas cookies, challenge yourself by playing Scorpion Solitaire! In this version of the game, suits don't matter in the tableau, so focus on simply stacking cards in descending order from King through Ace. 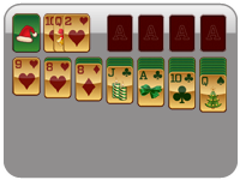 Win this game by making sure cards are eventually organized by suit in descending order. 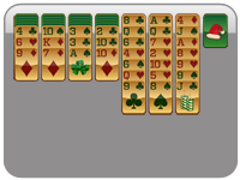 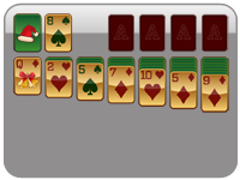 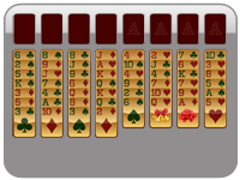 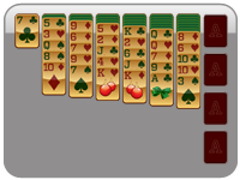 There are three extra cards in this game, which are in the draw pile that you start off with on the right-hand side. Use these cards at any time.